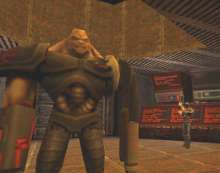 This is a stanadalone Quake II Singleplayer mod which allows player to infiltrate in the Strogg's Communication Center... and destroy it to the ground. It's a short but colorful journey back to Quake II world with perfect architecture and brutal monsters. The mod uses the Yamagi Quake engine.